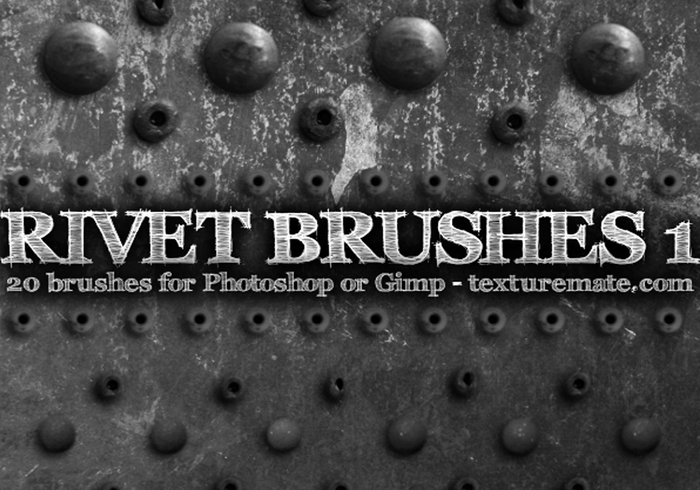 Rivet 1 Brushes from texturemate.com - Free Photoshop Brushes at Brusheezy! Very cool... really like these. Thanks you! i need to find out exactly how to save brushes. Damn, I guess I can't use these in CS4?